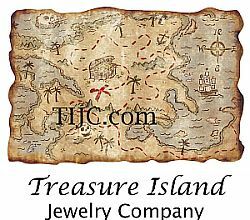 Treasure Island Jewelry has obtained this domain and welcomes you to our family of fine products. To get the most of our website, create an account here. To begin shopping use the menus above or click to our home page to see an overview of all our products. Normal business hours are 9 a.m. to 5:30 p.m. CST Monday through Thursday and 9a.m. to 3 p.m. on Friday.